pirates | Radio vs. the Martians! Mike and Casey are charging our electric cars, voting for Richard Nixon, and getting a booth in the Gunga Diner with Ask an Atheist‘s Sam Mulvey, and Rob Kelly of the Fire and Water Podcast. 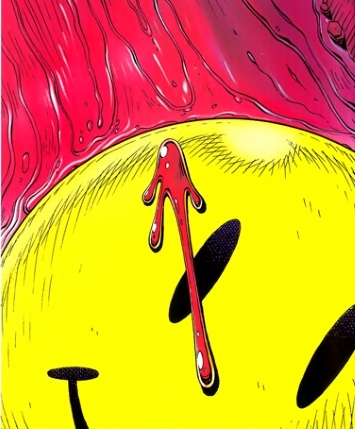 Our topic, the 1986 mini-series that has been labeled “the greatest comic book of all time,” Alan Moore and Dave Gibbon’s Watchmen. We dig into the series’ aggressive and intentionally unflattering deconstruction of the superhero genre, the often uncomfortable morality and motivations of its characters, and the controversial and underwhelming 2009 Zack Snyder film adaptation. *for those interested in donating to a great cause we mention on the podcast, please check out the Hero Intiative.